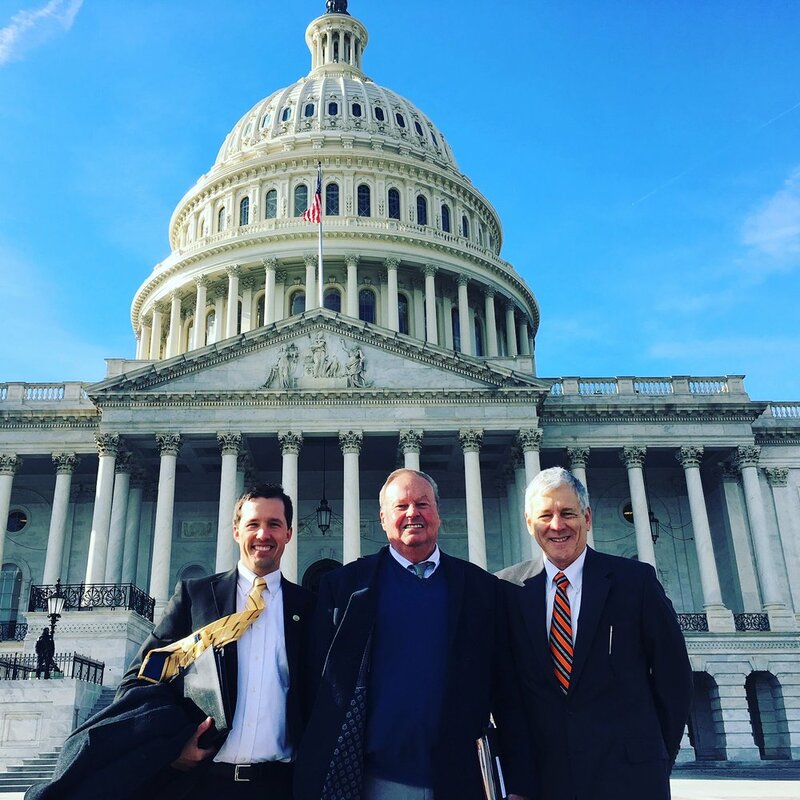 SCWF board member Calvert Huffines of Walterboro (center) recently joined Audubon South Carolina's Matt Johnson (left) and Conservation Voters of South Carolina member Tom Erwin (right) in Washington DC. They met with Senator Lindsey Graham, and also with staff from the offices of Senator Tim Scott, Representative Mark Sanford, and Representative Jim Clyburn. Topics discussed included our opposition to drilling in the Arctic National Wildlife Refuge and to selling of public lands for mining, and our support of full funding for the Land and Water Conservation Fund. For more information on these and other issues, please visit our Advocacy Page here.